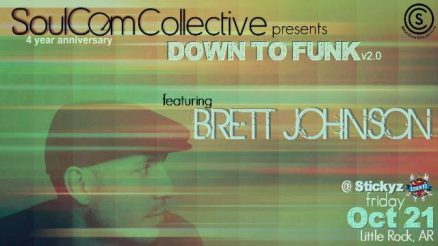 Mention his name to any clued up dance floor connoisseur and they won’t mince their words; Brett Johnson is a certified treasure. The Dallas native is a genuine artist’s artist; an incredible DJ talent and faultless producer who in the eyes of discerning selectors has stood as one of house music’s foremost ‘go-to’ guys over the past 15+ years. Brett’s sound is best known as groovy, bumping house with a hearty dose of techno elements, crafted and mixed in a way that is truly identifiable as his own. Having released his first record in 1999 on the now defunct Aesoteric Records, Brett has released over 100 records and remixes for some of dance music’s best labels including Classic Music Company, Magnetic, 20/20 Vision, Get Physical, Visionquest, Freerange, Cynosure, F-Communications and more. Aside from a busy remix schedule, Brett is currently releasing his music on the labels such as Edible, Classic Music Company, Cuttin Headz, Holic Trax and a few select others.